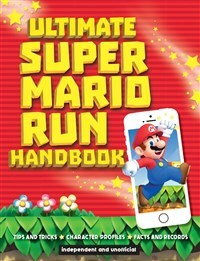 Ultimate Super Mario Run Handbook gives you all the tricks, tips, secrets, and cheats you need to know to become a master Mario runner in all three modes of the game: World Tour, Toad Rally challenge, and Mushroom Kingdom builder. There are profiles of all the characters in the game, including Princess Peach, Yoshi, and Toad. What's more, the book is packed with Mario trivia, a Mario quiz, and loads of things you never knew about the most iconic character in gaming history! Chris Scullion is a video games journalist who has been gaming since the age of 3. He has been the games editor for Official Nintendo Magazine (the UK's most popular Nintendo publication), the online editor of Nintendo Gamer, and also the games editor for Computer & Video Games, the world's longest-running games publication.